Before beginning the project, I sketched out the key features, the user flow and the navigation structure. 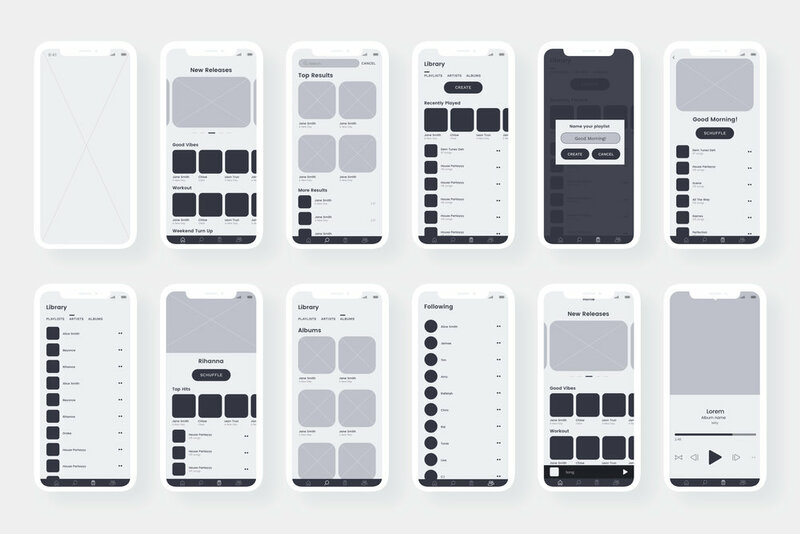 Before designing, I created wireframes to establish the basic structure of the experience and user flow. 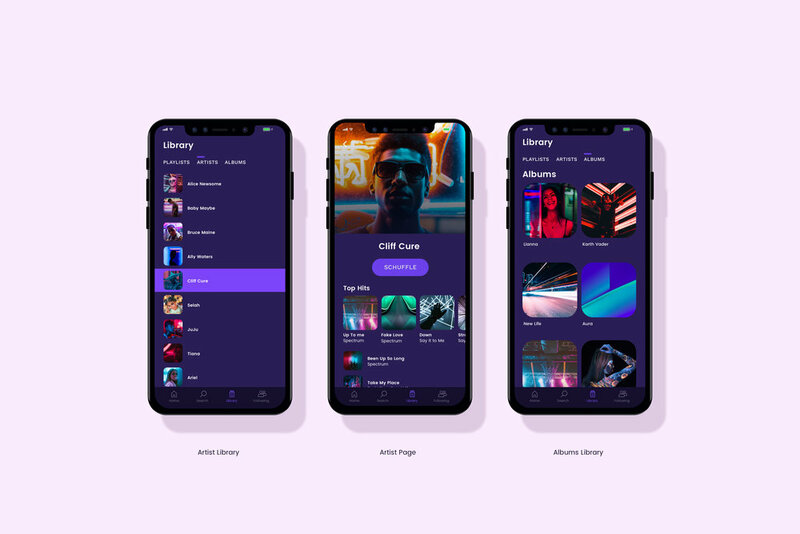 The design approach was to utilize a clean aesthetic and vibrant imagery to showcase the artists in the app.